I love celebrating Halloween and every year I decorate my home with candles and pumpkins to celebrate. It’s such a fun time of year and a great opportunity to get creative with baking. These Bleeding Brain Cupcakes are perfect spooky treats to delight family, friends, or your local trick or treaters! 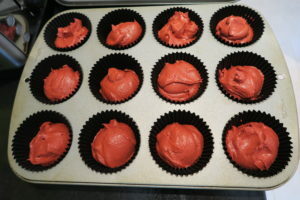 They are made with a simple red velvet sponge, filled with strawberry or raspberry jam and then decorated to look like a brain, which is so easy to do. They’re definitely the yummiest brains I’ve ever eaten! To make the sponge I creamed together the butter and sugar, then I whisked in the eggs and buttermilk. 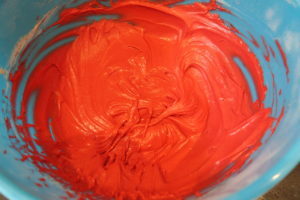 Next I added the cocoa powder and flour and whisked them in, then enough red food colouring for a bright shade. 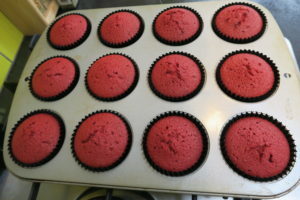 Then I divided the mixture between 12 black cupcake cases. 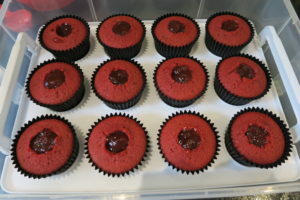 Once they were fully cool, I removed the centre with a cupcake corer and filled them with strawberry jam. 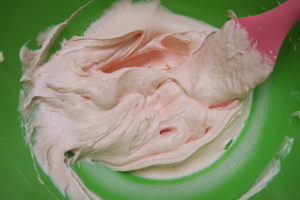 I made the buttercream by mixing the icing sugar, butter, vanilla extract and pink food colouring together. Then I piped it onto the cupcakes using a circular nozzle, I piped a line down the centre first, then squiggles on either side. And the Bleeding Brain Cupcakes were ready for any nearby hungry zombies! 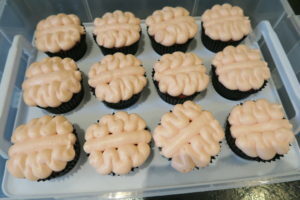 My friends and colleagues absolutely loved these creepy Bleeding Brain Cupcakes! They were gone in no time and I had lots of compliments on the flavour and appearance. I hope you enjoy making them for your Halloween celebrations! 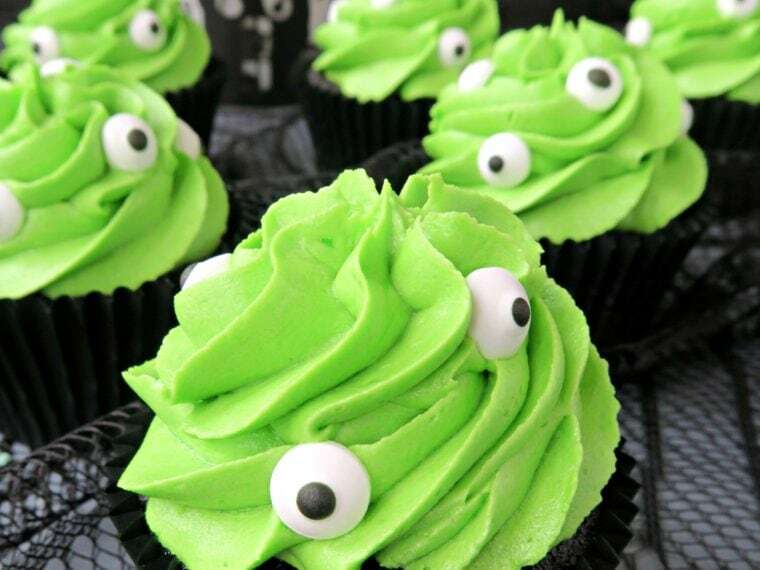 You can find more of my Halloween recipes by clicking here! Very clever =) the claw ones are my favourite but the brain ones are creepiest! Very innovative and perfect for a spooky party. How gruesomely tasty! The brain icing looks disgustingly lovely and actually, the fact that the cherry sauce was jelly-like definitely adds to the visuals! Congealed blood is a MUST for halloween! Should NEVER be runny!!!!! BRAINS! These are epic! Hope you have a happy halloween and many thanks for entering these into We Should Cocoa too!